Today I am assigned with Radhika, the creator of Blog Hop Wednesday. This is the last Blog Hop Wednesday, for this year only. I am sure we will be ending many years with Blog Hop Wednesday. The voyage so far has been full of excitement and taste. Thanks Radhika for this wonderful gift to foodie bloggers. With creative mind and intellect, Radhika has given birth to a wonderful blog. 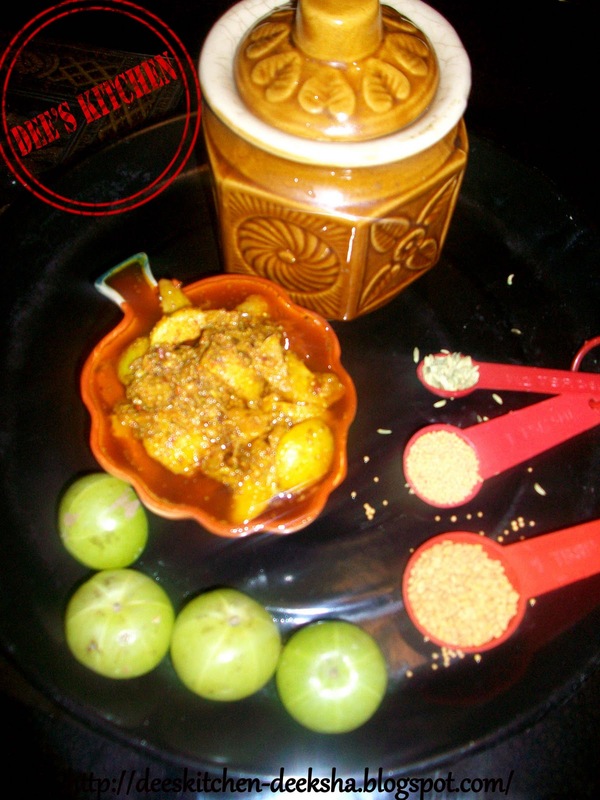 I have tried a lot many recipes from her space, so this time I was sure to make Amla Pickle. As amlas are raining everywhere, so I guess this is the best way to preserve the amrit phall. * Wash Amla very well. * Boil sufficient water in deep bottom pan. Add amla into the water and cook for 3-4 minutes till amla is tender. * Drain out the water. Let them cool and dry. * Separate the Amla segments and discard the seeds. * Heat 1 Tbsp oil in a pan till the smoking point. Switch off the fire. 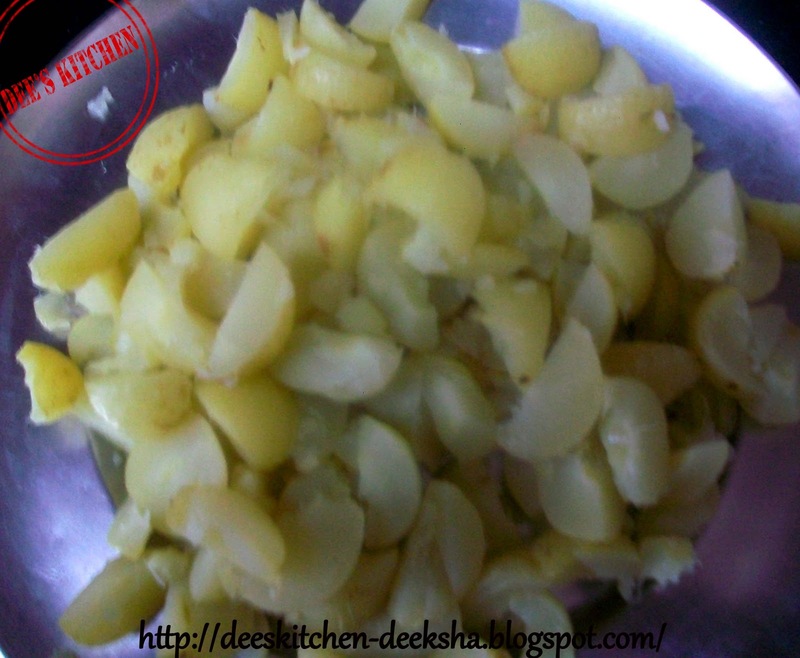 * Add asafoetida and fenugreek seeds and stir. 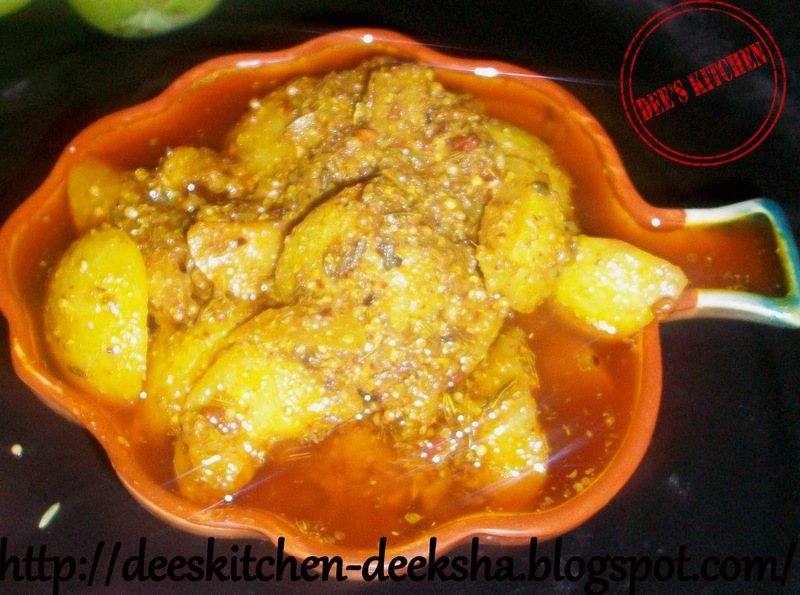 * Add in turmeric powder, fennel powder, red chilly powder, yellow mustard powder and salt. * Mix very well. Add Amla pieces and mix very well. * Let it cool completely and transfer the pickle in a container. Top up the container with remaining oil. * Pickle will be ready to consume in 2 to 3 days. wow yummy one .. i will try i t.. my hubby would love it..
Lovely and delicious pickle.. Yummy !! Thanks for choosing this and reminding me to make it again. it is raining amlas here too. Love the first click Dee. I love this pickle..looks super tasty. This looks delightfully yum! And gooseberries are so good for health. 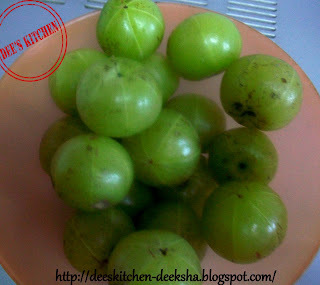 yummy pickle, i love amla pickle..
simple and delicious pickle... Happy new year..
Amla is my fav fruit. Love to eat any time. Pickle came out super good. ONE OF MY FAVOURITE PICKLE..PERFECT ONE..
Good post. Amla pickle is my hubby's favorite. There are some awards waiting for you at my space. Please accept it. Wow,Luks delish.Awesome Amla Pickle Dear.